The numbers must be 30,000 or more. If the paint is still legible, it will be reddish-orange. For numbers under 30,000 the paint will be black. I'm not interested in the vehicle taxes painted black (under 30,000). 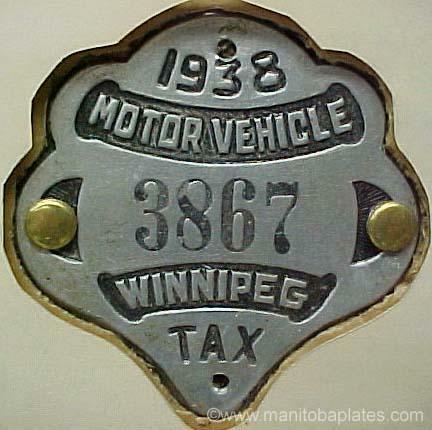 1938 - 1938 Winnipeg Vehicle Taxes, the number must be 30,000 or greater. The shape will be the same as numbers below 30,000. Here's one below 30,000. 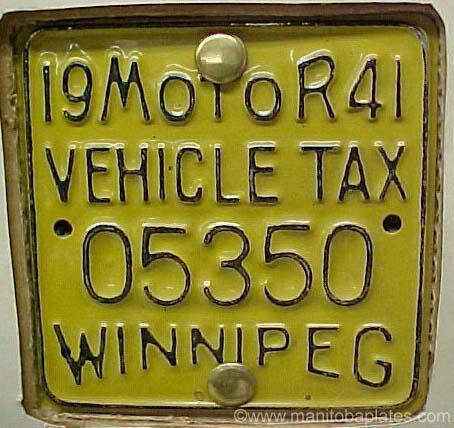 1941 - 1941 Winnipeg Vehicle Taxes, the number must be 30,000 or greater. The shape will be the same as numbers below 30,000. Here's one below 30,000.